This article describes how to save a workflow as a template, and then import the workflow template to a different site collection. Typically, this scenario happens when a designer moves a workflow site from a development environment to a production environment. In this scenario, designers customize, test, stage a new workflow site in one environment, save it, and then upload the saved workflow to another Duet Enterprise for Microsoft SharePoint and SAP collection or farm. Important: To perform the steps in the following procedures, you must be a site collection administrator on the site collection where the root workflow exists. You can save a workflow template by working with options in SharePoint Designer 2010or SharePoint Server. This procedure describes how to save a template by using SharePoint Server. From the home page of the workflow site, select Site Actions and then select Site Settings. On the Site Settings page, in the Site Actions group, select Save site as template. In the Save as Template form, in the File name box, type the name that you want to use for the template file. Then, in the Name and Description boxes, type a name and a description for the template. Click OK to accept the settings and save the template to the Solutions Gallery. SharePoint Server displays an information window while it processes this request, and then displays a message when it finishes the process. In the Operation Completed Successfully box, click the solutions gallery link to manage the new template in the Solutions Gallery. In the Solutions Gallery, double-click the name of the template that you want to download. In the Save As dialog box, go to the location where you want to save the template file, and then click Save. Copy the workflow template that you saved in the previous procedure to the target environment. From the home page of the root-level site, select Site Actions, and then select Site Settings. In the Site Settings page, in the Galleries group, select Solutions to open the Solutions page of the Solutions Gallery. Click the Solutions tab to make the solutions ribbon visible, and then click Upload Solution. In the Upload Solution dialog box, click Browse to open the Chose File to Upload dialog box. Select the name of the template file that you want to upload, and then click Open. In the Open Documents dialog, verify that the Name box shows the path and file name that you want to upload, and then click OK. The Solutions Gallery – Activate Solutions dialog opens. 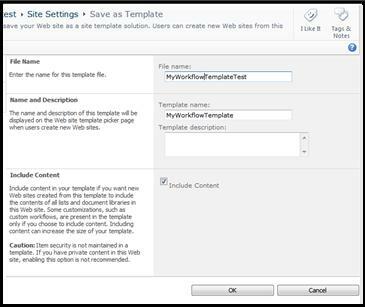 In the Solutions Gallery – Activate Solutions dialog box, click Activate to enable the template and return to the Solutions page. You can now use this template to create a workflow site that uses the template that you uploaded. Go to the site that you want to contain the new workflow. Select Site Actions, and then select Site Settings. On the Site Settings page, in the SAP Workflow Configuration group, click Import a pre-configured SAP Workflow template. On the Import a pre-configured SAP Workflow template page, in the Template Selection pane, select the Custom tab. Select the name of the workflow template that you saved. In the BDC Entity pane, enter WorkflowWebService. Alternatively, you can click the entity browse button, and select WorkflowWebService from a list. Click the check entity button to verify the name. In the Activation Date pane, specify the time when you want Duet to enable the workflow. In the Template Imported successfully box, click OK.
After the time that you specified in Activation Date, you can use this workflow to receive and manage SAP business tasks.